Thanks for all your amazing entries for the COLOUR challenge!! As the challenge has started late this month, it will run till the 29th of April. I'm waiting to see all your creativity!! Here is some inspiration to start you off this month. 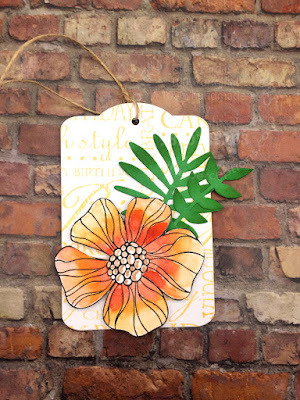 For my first project, I made a gift tag using Hero Arts woodblock and cling stamps and Mft dies. I started by die cutting the tag using an Mft tag die. I then created a background using the hero arts birthday background stamp. 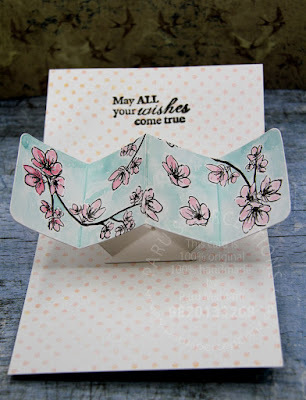 I then stamped and coloured the flower (also from Hero Arts) using Sakura Koi watercolours. I fussy cut the flower and adhered it to the tag using 3D foam tape. 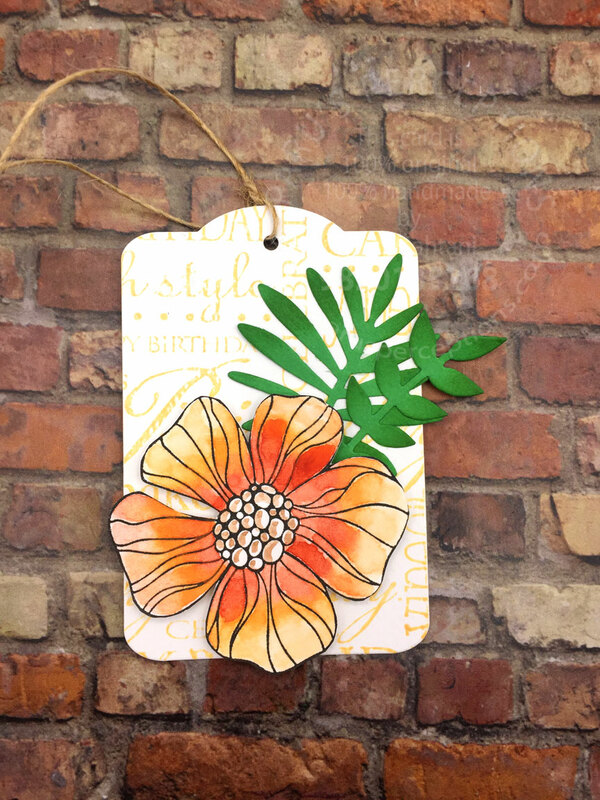 I die cut some leaves using Mft dienamics tropical leaves dies. I then used Tim Holtz' mowed lawn distress ink to darken the edges of the leaves, to create some interest. I finished the tag with a bit of jute twine from Mayarts ribbon. 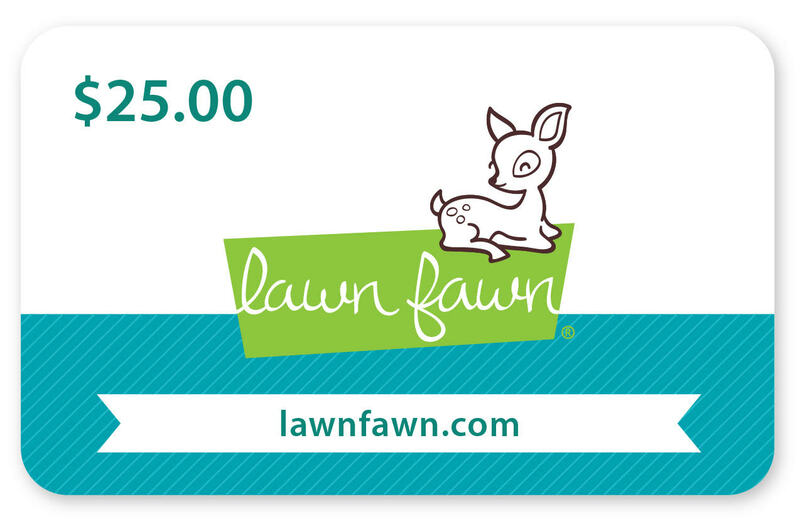 For my second project, I have combined stamps and dies from my fabulous sponsors this month...Lawn Fawn and Craftangles by HNDMD. I recently purchased the new Lawn Fawn pivot pop up die and couldn't wait to use it!! To make this card, I started out with a white card base, which I masked and watercoloured using my Camel watercolours, to create a soft teal wash. Once it was dry, I used a hero arts background stamp to stamp some dots to create some interest. 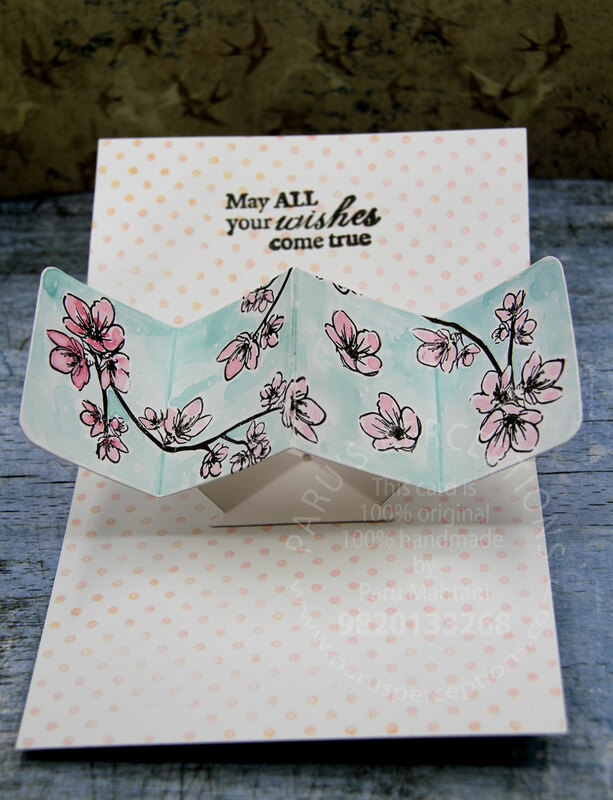 I then stamped, watercoloured and fussy cut some cherry blossom flowers from the Craftangles 'Mom you rock' stamp set and adhered them to the card base. I then die cut the sentiment (from Winnie and Walter), and, used Memento Angel Pink ink and Tim Holtz 'bubblegum' distress ink to colour it. Once the sentiment was adhered, I added the birthday sentiment (from Hero Arts) and some wooden hearts (Craftangles). As you open the card, you can now see the mechanism at work. Once open, You can see the full card. 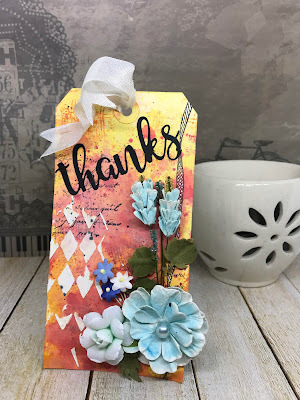 I stamped and watercoloured the pop up part of the card using stamps from the Craftangles 'Mom you rock' stamp set and Camel watercolours. 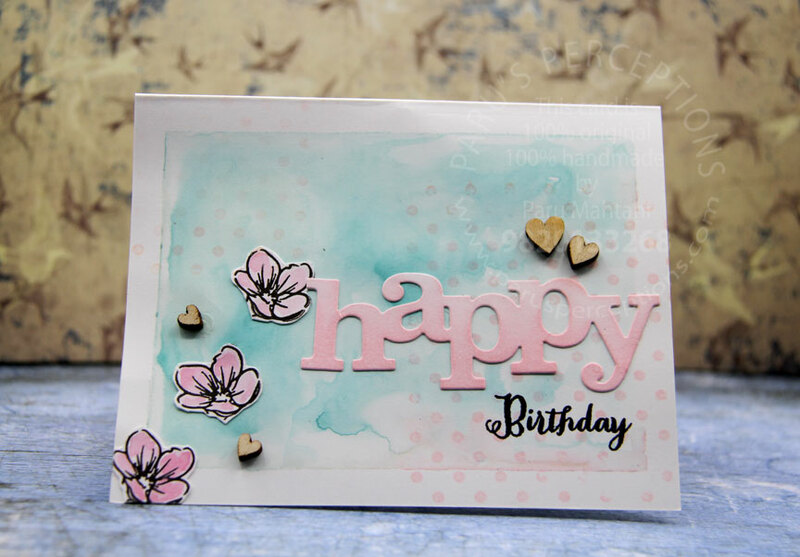 I also stamped the inside of the card using Hero Arts small dots background stamp and Memento Angel pink ink. I finished the card with a sentiment from Paper Wishes. 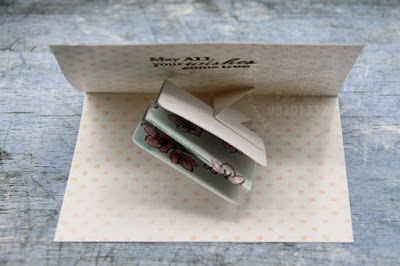 You can learn how to make a Pivot Pop Up card here. Here is a video to show you how this fun card pops up! 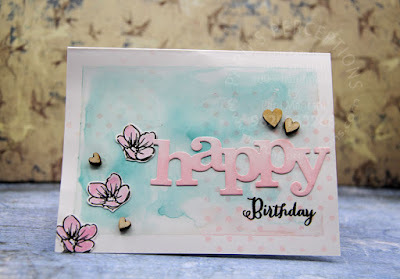 I am playing the simon Says Stamp Wednesday 'Happy Birthday' Challenge with this card! 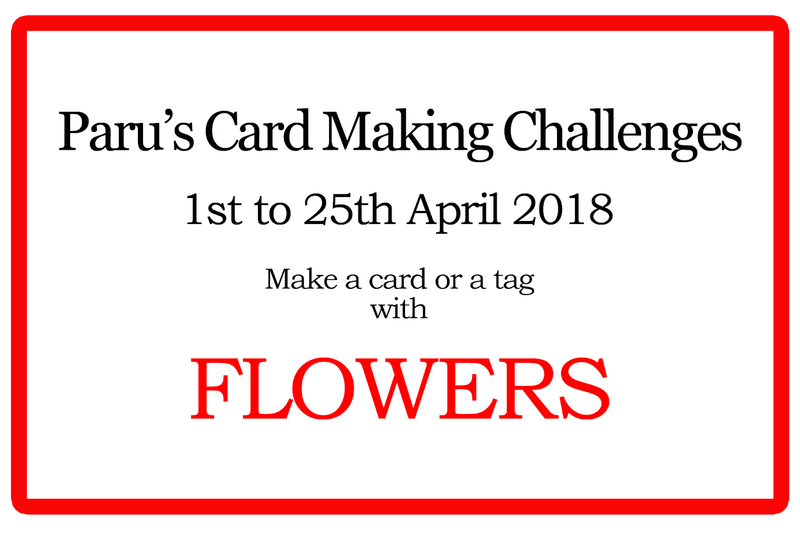 I am Bharati Nayudu and I am very excited and greatly honoured to play along with Paru's Card Making Challenges as Guest Designer for the month of April. Many thanks, Paru, for having me over! I live in Visakhapatnam, a coastal city in India with my 10 yr old son (who loves craft as well) and my loving husband-my soulmate. I have a talented little sister who is my best pal and an artist. I am an HR executive by profession and crafter at heart, committed to spreading handmade happiness. 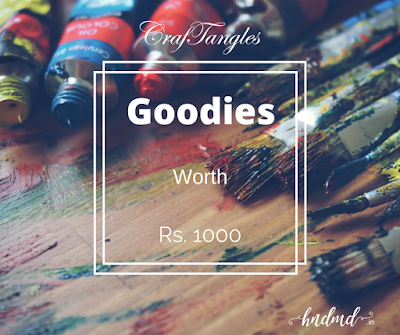 I started blogging and entering online craft challenges from August 2017. Although, I am quite new to the blogland, thanks to a very encouraging and supportive crafting community, I feel completely at home. It's as if the mothership found me and now I live in the world of crafts! Besides card making, I also enjoy quilling,decoupage art, art journaling and giving virtual hugs to crafty friends all around the world. may your spring be filled with colourful flowers and cards. My first project is a card inspired by my dear friend Sanjeevini, who has a very happy and cheerful personality and who loves flowers and bursts of colours. 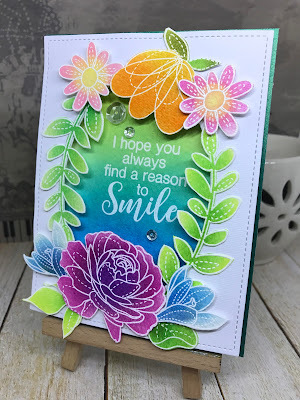 To make this card i started with heat embossing, in white, the flowers and leaves from the stamp set 'More spring flowerw' by Simon Says Stamp. I then added distress in to each image using finger dabbers and fussy cut them. While adding the ink, mixing two or more colours to get a gradient look always works. I then took another white card piece and heat embossed the sentiment in white before ink blending the panel. The white heat embossed sentiment goes with the white outline and the dash line on the images. I then die cut a rectangular white card panel and then cut an oval window through it. I then adhered the leaves and flowers on the white window panel with tape. I also used foam squares in a few places for dimension. I then adhered the window panel with the images using foam tape on to the ink blended card stock with the sentiment, I finished the card by adding a few sequins and adhering the whole card from to a deep green card base. Apart from the colourful look, I love how a portion of the leaves is inside the window and few leaves pop out of the card from the top and bottom on the card. I started with smooshing distress oxide inks on my craft mat and spraying some water. I then pressed my tag onto the ink. I repeated this process several times till I was happy with the results. Building layers of colour each time by adding ink, splattering water and drying between the layers. I then added interest by stamping some scripty font in black ink and the stamp i used is by Hero Arts and its called ‘Old French writing’. To add more interest i stamped randomly pattern from Bo Bunny’s rough-it-up stamp set using spiced marmalade distress ink. I also added an image of a swirly ribbon in black ink from Inbetweenies stamp set by Dyan Reaveley's Dylusions. To add some texture to the tag i applied some embossing paste using a stencil by Tim Holtz. I was gifting a pack of beautiful flowers by Prima that I was hording since long and finally found place this tag. Before adhering the flowers and the word die cut in black by Mudra Stamps, i did add few splatters of black ink with a thin brush. Then all that was left to do was to tie a white ribbon on the tag. The theme for the month..FLOWERS has many possibilities and I hope my projects inspire you to play along. 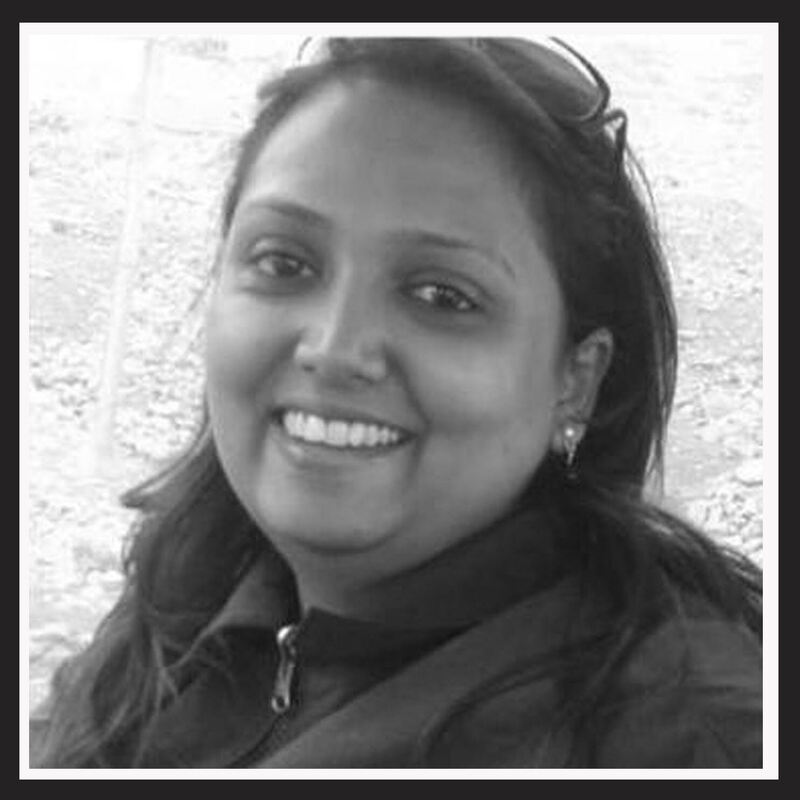 Thanks agoin, Paru, for the wonderful opportunity! 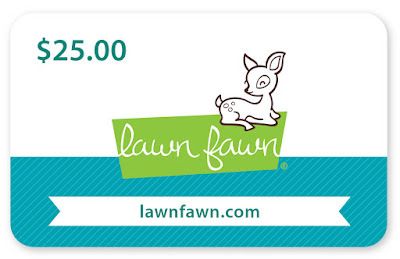 I am extending it this month as the challenge started late. The winners will be announced on the 30th of April. Lovely soft colors for spring! Thank you for playing with us at the Simon Says Stamp Wednesday challenge! Your interactive card is just gorgeous Part. :) Love the Sakura flowers. They are beautifully coloured and used in the card. Love the cards you 2 made--very inspiring! I don't do Facebook, but I'm now following you on IG--not on it much either, though. Hope you like my roses card I'm going to enter.